Mold is beneficial for the environment, but it’s not the least bit beneficial for people. While the type and severity of health effects resulting from mold exposure varies from person to person, exposure to indoor molds commonly results in allergic reactions including nasal and sinus congestion, headaches, skin and eye irritation, breathing difficulty, and upper respiratory tract infections. Mold is particularly dangerous to groups with a higher sensitivity to mold, such as infants, elderly people, individuals with allergies and/or asthma, and immunocompromised patients. Watch this brief video clip to learn more about the health dangers of mold. If you have mold in your home, contact a mold removal company in Long Island to eliminate the threat for good. Professional mold removal experts will also identify problem areas to prevent mold problems in the future. If you don’t see mold in your home but recognize symptoms of mold exposure, schedule a mold inspection today. Although molds are a beneficial part of the natural environment, they have the potential to cause structural damage and serious health problems if they begin growing indoors. Because of the dangers presented by mold and the speed at which mold spreads, it’s important that you contact a mold remediation company in Long Island in a timely manner to prevent the spread of mold to other areas and minimize the negative impact on your health. 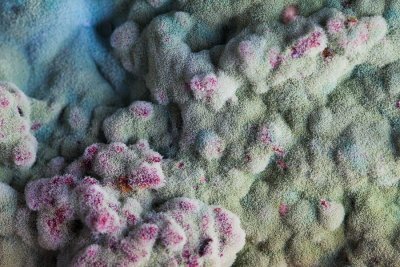 If you suspect mold is growing inside your home, you probably have lots of questions. Here are answers to some of the questions you’re probably asking yourself. A: Mold spores are everywhere, even inside your home. However, mold only begins to grow and spread when conditions are right. Mold prefers temperatures in the mid-70s, darkness, stagnant air, and high humidity (<70%). If these conditions are present in your home, it’s usually just a matter of time before you have a mold infestation on your hands. A: Molds have the potential to cause serious health problems. While most people will experience mild allergic reactions, molds can also cause breathing difficulties, respiratory tract infections, yeast infections, and cognitive disabilities. Some toxic molds have also been linked to an increase risk of cancer. If you believe you have a mold problem, contact a Long Island mold removal expert as soon as possible. A: Killing mold using biocides or applying bleach to mold will not prevent further damage or eliminate the impact of mold exposure. The best way to get rid of mold for good is to hire a mold remediation company. Mold remediation professionals use state-of-the-art tools and equipment to eliminate mold and mold spores, often without the use of harsh chemicals. Mold remediation is also about identifying problem areas to prevent future mold growth. Some moisture is expected in basements, but excess moisture can quickly lead to mold and other forms of water damage. If you notice water stains, musty odors, or sounds of running water in your basement, you may need to schedule water damage restoration. After the damage is repaired, think about waterproofing your basement to prevent further water damage. Basement waterproofing companies in Long Island can install a non-clogging subfloor drainage system along the perimeter of your basement floor. This system intercepts water at the perimeter of the basement before the water has a chance to seep in through the floor. Waterproofing can make your basement more comfortable, protect your belongings from water damage, and prevent mold growth. Speaking of mold, you can also have mold resistant building materials installed in your basement to keep mold at bay for good. Get in touch with a basement waterproofing company today to learn more about your options. Most Long Islander homeowners deal with a common problem: Wet basements. Moisture is expected in most basements, but plumbing leaks and flooding can lead to serious water damage. Unfortunately, not all water damage is very obvious. To prevent further damage, it’s important that you learn how to detect signs of hidden water damage in your basement. If you recognize any of the following signs, contact a water damage restoration provider in Long Island to assess the damage, make necessary repairs, and prevent future problems. 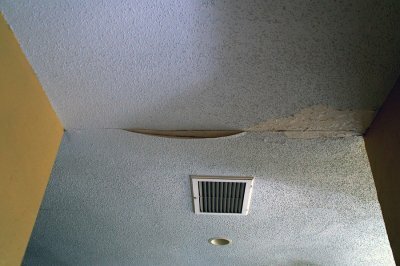 One of the most telltale signs of water damage is water stains on the ceiling or along the walls. If a water stain pops up overnight, get a water damage restoration professional into your house as soon as possible to find out where the water came from and prevent further damage. Mold is another visible clue that your basement has excessive moisture problems. If you see mold growing in your basement, schedule professional mold removal to completely eliminate mold from your home. Slab leaks are common in Long Island. While you won’t be able to see a plumbing leak beneath the basement floor, you may be able to hear the sound of running water beneath the slab. 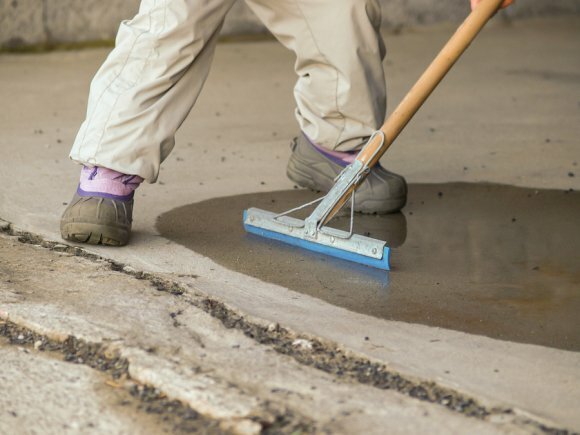 Depending on the extent of the slab leak, you may need to contact a foundation repair company in addition to a water damage restoration provider. Water takes on a very foul smell after sitting for a while, so be concerned of water damage if you are assaulted with musty odors after walking down into the basement. Some old houses have this musty smell regardless, but you’ll know if water damage is to blame if the smell develops suddenly and doesn’t go away. A musty odor can also be linked to hidden mold growth, so a mold inspection may be in order to determine whether mold is a problem in your basement.